Dan 12. Mann (2018) – What's New on Netflix Canada Today! 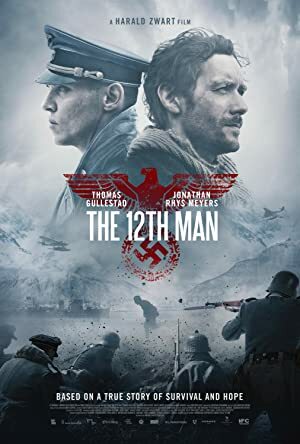 (The 12th Man) – True World War II story about Jan Baalsruds, one of the 12 saboteurs sent in 1943 from England to the Nazi occupied Northern Norway. After their boat is sunk by the Germans, Jan goes on the run towards the neutral Sweden. However, the brutal weather conditions turn out to possibly be an even greater foe than the Nazi patrols. Based on true events, this story follows a Norwegian saboteur’s harrowing struggle to reach safety after escaping a Nazi attack during World War II.